- A replacement for potentially harmful shoe polish. - A replacement for other conditioners that contain harmful chemicals. - Great for daily maintenance. 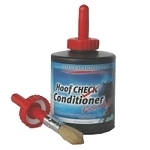 - Great for dry, flaky, cracked hooves. 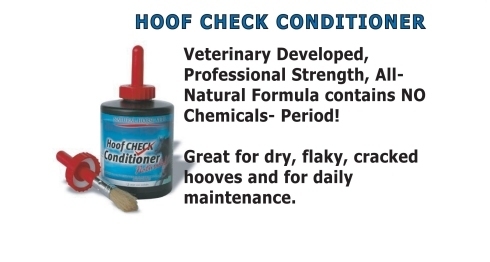 "Our Hoof Check Conditioner will be best conditioner you have ever used!"